Finding your ski legs at the start of each annual ski trip can seem a daunting task. Cries of “How do I do this?” or “You want me to go down THAT? !” can often be heard echoing from wobbly figures followed by stern reassurances of “it’s like riding a bike”. While we can’t take away these first run jitters, we can provide a few pointers of where to head to ease the process. 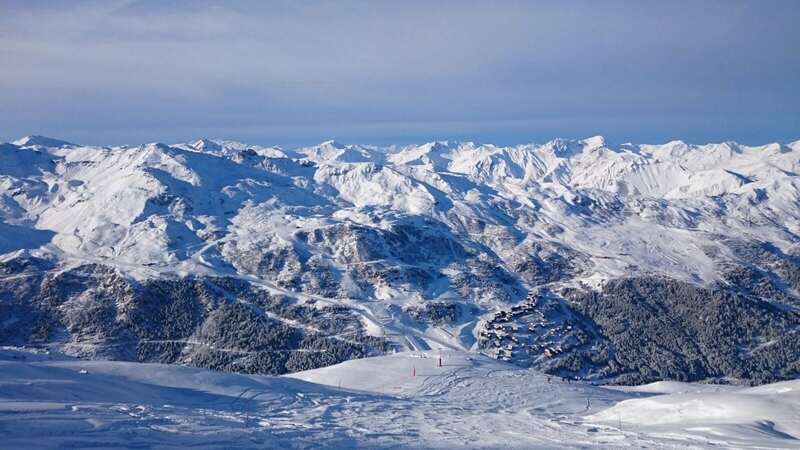 Meribel has a great expanse of easy ski areas. In fact, over half of the resort is made up of green or blue runs. This means it is the ideal place to reintroduce yourself to skiing or boarding. The Blanchot piste, winding its way passed Meribel’s airport provides a very wide, gentle slope, perfect for warming up those legs. Accessed at the top of the Rhodos gondola, you can enjoy the forested scenery all the way down to the Altiport chairlift, which will quickly whisk you back up to do it all again. 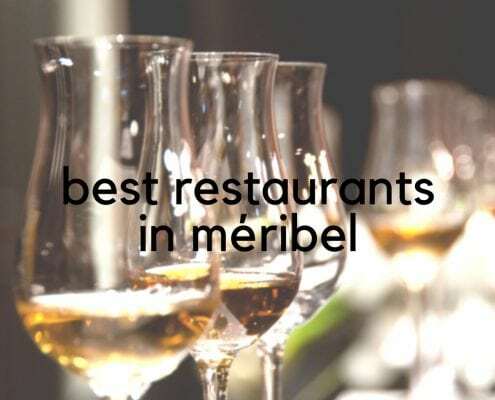 Meribel Motteret, which sits above the main town centre is another great option. After a fairly drastic refurb this summer, Motteret is now even more accommodating with a wide beginner area served by a magic carpet. 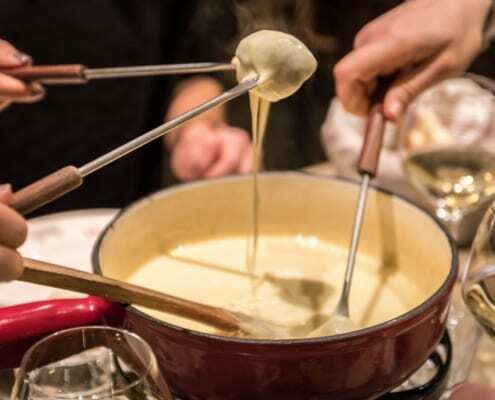 Take the Tougnette 1 gondola up and make your way slowly down to Motteret through the Rue de Chalet. Take a breather, grab a hot chocolate then carry on down to Meribel on La Truite, a.k.a The Trout, an easy green ride all the way home. 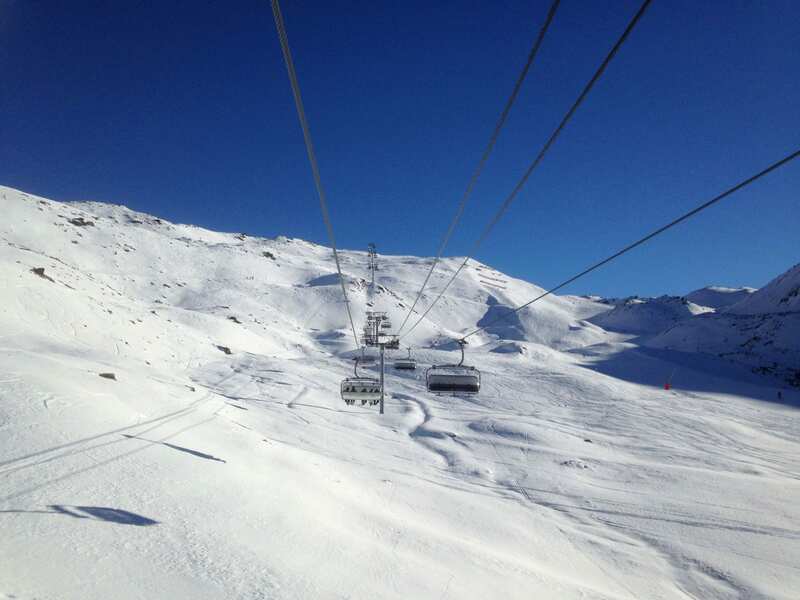 For those feeling brave enough for blues, you have the choice of 34 different pistes. Our favourites are Faon and Choucas, both located off the top of Tougnette 2 and great first thing on freshly pisted snow. Get out on the corduroy and feel like a true ski hero within minutes down these lovely runs. 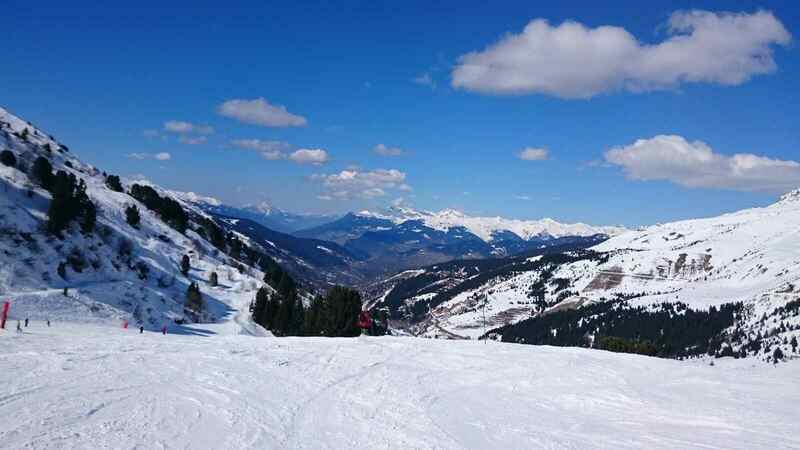 Snowy scenery from the top of Meribel. Still concerned about hitting the slopes? Join a group lesson to jump start your ski holiday and set yourself up for a great week of skiing or boarding.